WM Security Solutions specializes in on-site construction security. We serve the construction industry including property owners, real estate developers, building contractors and trade subcontractors. When you hire WM Security Solutions to protect your construction site or abandon property, we provide complete care solution with trained security officer with the tools & support at much lower cost than our competitors. While consistently expanding our services, WM Security Solutions continues to offer reliable, professional security officer in the industry. Our Expansion Throughout California demonstrates our desire to continue providing high quality, effective and affordable security solutions. Security on a project can be managed by placing infrared sensors around the perimeter of the site, large warning sighs as well as highly visible security trailer with Guard Patrolling around property or simply as placing stationary guard during off work hours. WM Security Solutions guardwill stand post when your workers leave in the afternoon and we will be there when they are back on site in the morning! This type of “watch” is the best deterrent for thefts. Save both time & money when you use our services. Our guards will lock doors/gates, take lighting reports, patrol signed site on foot or in security vehicle, check for irregularities and inspect installed devices, fire control equipment, unlocked doors, blocked entrances and exits, mechanical problems, check for unsafe conditions, hazards, security violations, vandalism and trespassing.The need for on-site security is especially important in and around construction sites regardless of the size of the job. Access control is a construction supervisor’s main concern while the crew is not present. WM Security Solutions offers you up to 24 hours, 7 days a week security coverage. 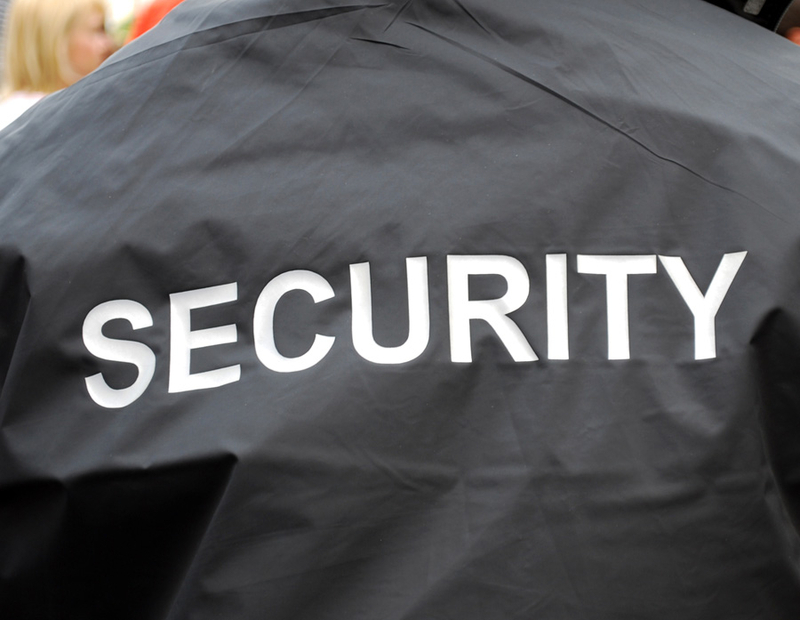 Along with providing trained and uniformed security personnel, WM Security Solutions provides an assortment of full-service security programs. officers are the best and most professional work force to utilize in these cases. ✔ The Security Guard Will Arrive At Your Facility Prior To Closing. ✔ If A Vehicle Is Required, The Security Guards Vehicle Will Have A Strobe Light On The Roof. In Addition, A Plaque Will Be Displayed On Both Sides Of The Vehicle Marked SECURITY. ✔ The Security Specialist Will Roam (Via Vehicle Or Foot Patrol) The Area, Where The Trailers And Equipment Are Parked Looking For Any Suspicious Activities. ✔ The Specialist Will Roam The Area In Random Intervals At A Minimum Of Three Times An Hour. If In Fact There Is Any Devious Commotion, The Guard Will Call 911 Immediately, Followed By Your Designee And Then A Supervisor From WM Security Solutions. ✔ Ensure Good Communications With The Construction Supervisor And Confirm Communications Frequently. ✔ Ensure All Paperwork Is Neat And Orderly. ✔ Meet With The Construction Supervisor Daily To Discuss Any Security Issues. ✔ Perform Access Control Into The Construction Site. ✔ Any Other Security Responsibilities Required By The Construction Supervisor. A portable security headquarters (trailer), where the Security Officer can monitor the electronically-controlled alarm system. Now you can secure your commercial or residential construction site twenty-four hours a day, every day, with a customized security package designed to your exact specifications. WM Security Solutions is the security industry’s leader in security of construction sites. Innovative, specialized technology and equipment enables WM Security Solutions officers to efficiently oversee large areas from a single command post. WM Security Solutions offers On-site trailer packages with officer who patrols the grounds when your employees leave for the day. These officers observe and report any site disturbances by documenting them on daily reports. WM Security Solutions has taken an unprecedented stance in its trailer package by providing a superior level of accountability on job sites by equipping all trailers with innovative, highly sensitive alarm panels. These specially engineered panels are linked wired or wirelessly to strategically-placed smart sensors around “hot zones” and other client-specified locations on the site. When an alarm is triggered, the trailer officer is alerted by the Command Center and is dispatched to investigate the disturbance. By adding this extra level of security, the communication gap between the trailer officer, the client, and WM Security Solutions is closed. The combination of the physical deterrence of a security officer along with technological vigilance enables WM Security Solutions to provide an integrated solution. 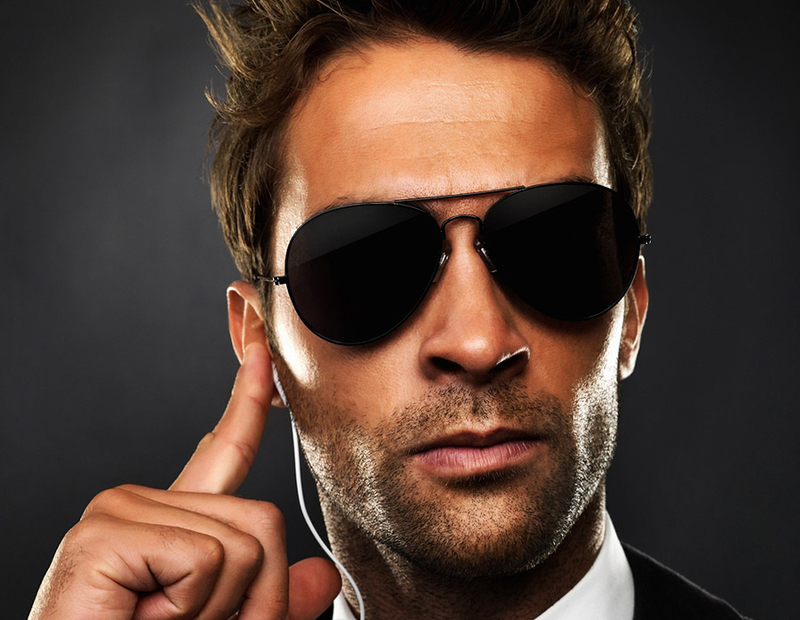 ✔ Each security officer is provided with a telephone or radio and shall make random patrols around the job site. ✔ An electronically controlled alarm system consisting of alarm control panel and infrared sensor eyes strategically located around the perimeter of the job site. 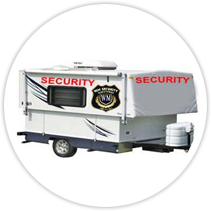 ✔ A portable security headquarters (trailer), where the security officer can monitor the electronically-controlled alarm system. ✔ Lighting to cover the security headquarters at the job site. ✔ Sufficient warning signs to be posted around the perimeter fence of the job site.